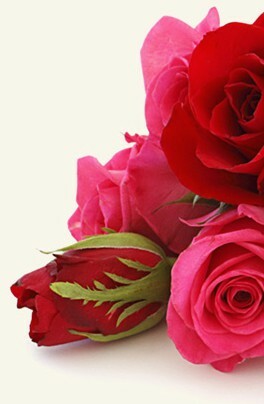 Login to my flowers4valletta.com account to track the status of your order or visit our customer service page. 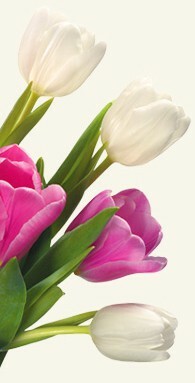 Login to my flowers4valletta.com account to modify your order or visit our customer service page. All changes must be 24 hours before delivery. After that time, we cannot guarantee there will be enough time for the changes you request. At Flowers for Malta we only use the very best in security for our online payments. We use PayPal for our online payments and as one of the largest payment processors in the world their security is top notch. flowers4valletta.com keeps customer information completely confidential. Our company does not share customers' personal information for third-party use or sell it to advertising agencies. In the event of a legal requirement, fraud, or law-enforcement request, your personal information may be shared upon request from the relevant authorities. The delivery costs are: Gozo Fontana 12.00 EUR, Gozo Ghajnsielem 12.00 EUR, Gozo Gharb 12.00 EUR, Gozo Ghasri 12.00 EUR, Gozo Nadur 12.00 EUR, Gozo Qala 12.00 EUR, Gozo Saint Lawrence 12.00 EUR, Gozo Sannat 12.00 EUR, Gozo Victoria 12.00 EUR, Gozo Xaghra 12.00 EUR, Gozo Xewkija 12.00 EUR, Gozo Xlendi 12.00 EUR, Gozo Zebbug 12.00 EUR, Malta Attard 7.00 EUR, Malta Balzan 7.00 EUR, Malta Birgu 7.00 EUR, Malta Birkirkara 7.00 EUR, Malta Birzebbuga 7.00 EUR, Malta Bugibba 7.00 EUR, Malta Cospicua 7.00 EUR, Malta Dingli 7.00 EUR, Malta Floriana 7.00 EUR, Malta Ghaxaq 7.00 EUR, Malta Gzira 7.00 EUR, Malta Gzira 7.00 EUR, Malta Hamrun 7.00 EUR, Malta Lija 7.00 EUR, Malta Marsaskala 7.00 EUR, Malta Marsaxlokk 7.00 EUR, Malta Mdina 7.00 EUR, Malta Mellieha 7.00 EUR, Malta Mgarr 7.00 EUR, Malta Mosta 7.00 EUR, Malta Msida 7.00 EUR, Malta Naxxar 7.00 EUR, Malta Qawra 7.00 EUR, Malta Qormi 7.00 EUR, Malta Qrendi 7.00 EUR, Malta Rabat 7.00 EUR, Malta San Gwann 7.00 EUR, Malta Senglea 7.00 EUR, Malta Siggiewi 7.00 EUR, Malta Sliema 7.00 EUR, Malta St Julians 7.00 EUR, Malta St Pauls Bay 7.00 EUR, Malta Ta´Xbiex 7.00 EUR, Malta Valletta 7.00 EUR, Malta Zabbar 7.00 EUR, Malta Zejtun 7.00 EUR, Malta Zejtun 7.00 EUR and Malta Zurrieq 7.00 EUR. How do I contact flowers4valletta.com customer service if there is a problem? Use my flowers4valletta.com account to access your account and contact customer service. Alternatively, call our customer service department.